Posted Oct 10, 2018 | filed under Weekly Banding Reports. Has I promised last week, this week I will provide you all with a round-up of the numbers, at least the numbers for fall migration monitoring – numbers for the year as a whole will have to wait until the last article of the year. Even focusing on just fall migration, though, there is plenty to write about as it was a very busy year. The second busiest year in-fact. The current record is 3496 and it was set back in 2002. This year we banded 3351 birds. The most interesting thing about this year, at least I think so, is that many species did really well. Often times when we have a really big year it is because one or two species are captured in epic numbers. Invariably one of those species is the myrtle warbler; in 2002 when we hit our highest total, 1270 (or over a third) of those birds were myrtles. This year myrtle warblers did do well and were our top banded species, but they didn’t dominate quite as much as they have been known to. We banded 767 which is well above the average of 379 and their fourth highest total. 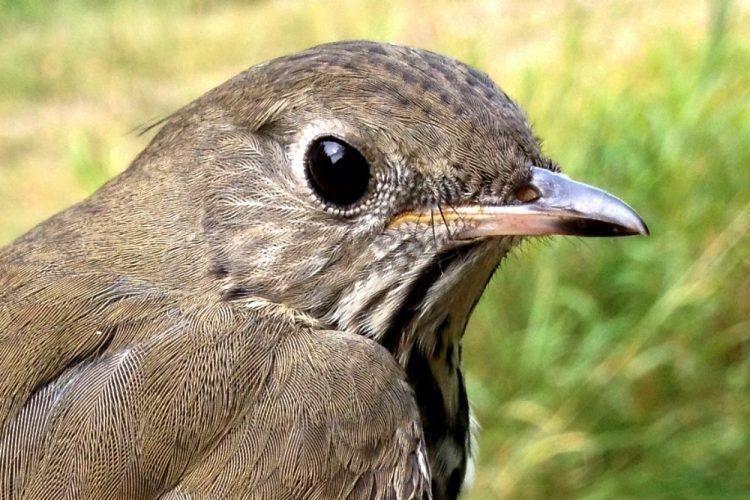 The other species in the top five were the Swainson’s thrush with 359 banded. That is a new record for them, besting the old record of 262 by a wide margin. 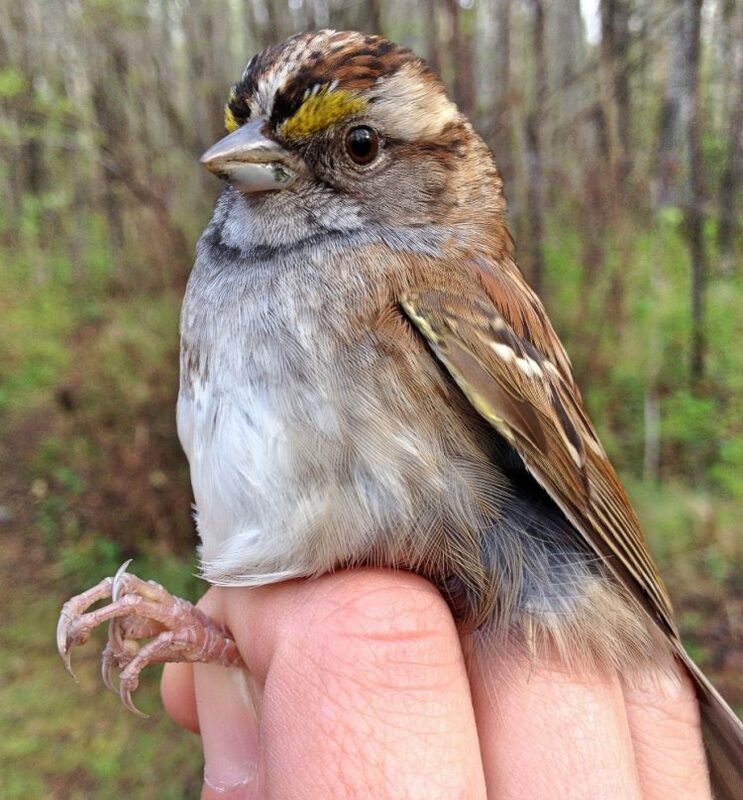 White-throated sparrow were just a hair behind at 350 which shattered their previous record of 159. Tennessee warbler took the fourth spot and although they didn’t break a record they still beat their average of 173 with 288. 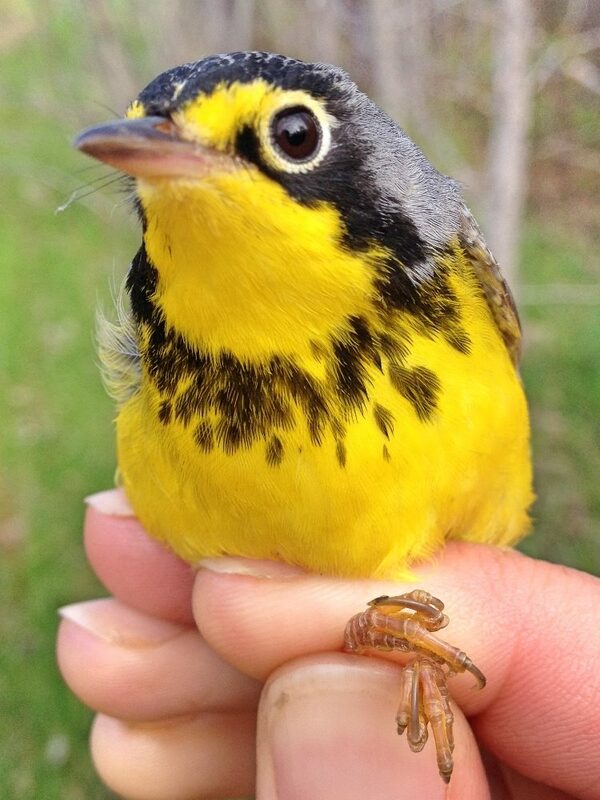 Fifth spot went to a species that I am pretty sure has never graced the top five list before – the Canada warbler. They broke their record of 114 with 162 banded this year, well above the average of 67. Birds in the top five weren’t the only ones that broke records. I honestly think we may have had a record breaking number of record breakers this fall. Song sparrow beat their record of 17 with 36 this year and their close relatives the Lincoln’s sparrow and swamp sparrow broke their record of 51 with 92 and 17 with 18. Savannah sparrow (17 beating 13), mourning warbler (124 beating 105), common yellowthroat (69 beating 39), and grey-cheeked thrush (17 beating 7) also beat records as well. Lots of close ones as well, rose-breasted grosbeak at 20 were only one shy of their record. Cape May warbler (13 banded), western palm warbler (18 banded), and orange-crowned warbler (81 banded) were all only two shy of hitting record highs. To top everything off we caught a great diversity of birds this year. A total of 62 species were banded which beats the average of 55 and is in the top four overall. Some of the highlights were a Townsend’s solitaire, Harris’s sparrow, pileated woodpecker, and LeConte’s sparrow. As to why this year was so good? I cannot say for certain but the weather certainly played a huge role. This fall, as opposed to many autumns, there was not a lot of wind and we lost very few days to rain.